This is a given when you go to India, not because their food is dirty, but it’s just prepared in a different way that our stomachs may not be ready for. This doesn’t mean you shouldn’t eat their delicacies (that’s part of the fun!) – just be careful, and stick to drinking bottled water, even for brushing your teeth with. You don’t necessarily have to cover yourself head to toe, but making an effort to respect their culture is always a good idea. Indians understand tourists come and wear shorts and crop tops, and who are they to tell you to wear otherwise, but little things go a long way. Like removing your shoes when entering someone’s home, or sometimes even shops. The littlest things to us may be mean a whole different thing in Indian. For example, when eating with your left hand, or even just passing something to someone with it is said to be very rude. – As well as touching something with your feet, as they are deemed to being a dirty thing in India. You can avoid these little things by doing your research beforehand, but you will most likely pick it up by watching what the locals do. Don’t just stay in the big city, as beautiful as it is; you can’t get a real feel for the country as you would if you visited the backstreets of it. You get to see how people live, walk through the colorful markets and learn a lot more than you would if you just stuck to the commercialized areas. If you’re planning on getting public transport, you can expect to be all squished together just to fit inside. If there is a tiny space available – it will be filled, whether or not it means leaning on somebody. It’s a whole other culture, so don’t get wrapped up in the idea that it’s ‘rude’ or ‘disrespectful,’ it’s not meant to be, it’s just their normal. Before even thinking about going to India, make sure you have sorted out an Indian Visa Application; otherwise, you may not even be able to go anyway! Plus, it can protect you if you end up in a sticky situation. Once you are there though, don’t be carrying huge amounts of cash on you, and any valuables that you do have, whether that be jewelry or gadgets – keep them hidden. Criminals target tourists because they don’t know any better, so make sure you do! Even the simple things like don’t walk down the streets alone, should all be considered. It sounds obvious, but it’s very easy to get caught up in the excitement and say “You go, I just wanna look at this,” but you should always stick together. And if you’re traveling on your own, keep watch of the time and the people around you. And it doesn’t hurt to buddy up with the locals. It can get very loud in India because people are always on the move; it’s busy, and there are forms of transport pretty much wherever you turn. So a good trick to drown out some of the noise if it gets too much is to wear earplugs. Time can be a very different thing in India because it’s so busy, there’s constant traffic on the streets, and this can cause delays to everything and everyone. So if someone tells you it’ll only take five minutes, it would be wise to give yourself at least thirty minutes if not more. The place you want to go may be just down the road, but getting there is a whole other struggle. The most common thing for people to say about going to India is the heat. Everyone wants to do as much as they can in the period of time they have, which eventually leaves you feeling exhausted, and the glaring sun doesn’t help that. There are so many things to see, so it’s understandable that people don’t want to miss anything. But what good is your vacation if you end up making yourself sick? India isn’t going anywhere, so if you can’t fit everything in that you wanted to do – just come back again another time. India must be a beautiful and interesting country to visit! yeah visit our country at least once in life…. Have you been to India? It’s a lovely country. I would recommend checking to see which vaccinations are recommended for travel. There is safety in numbers, too. Such a beautiful post. I couldn’t agree more. But the part where you advised to dress conservatively really touched me. Thank you so much for writing such a wonderful post about India. Hey I’m from India…and I feel you’ve done quite a good research. India is a nice place to visit. 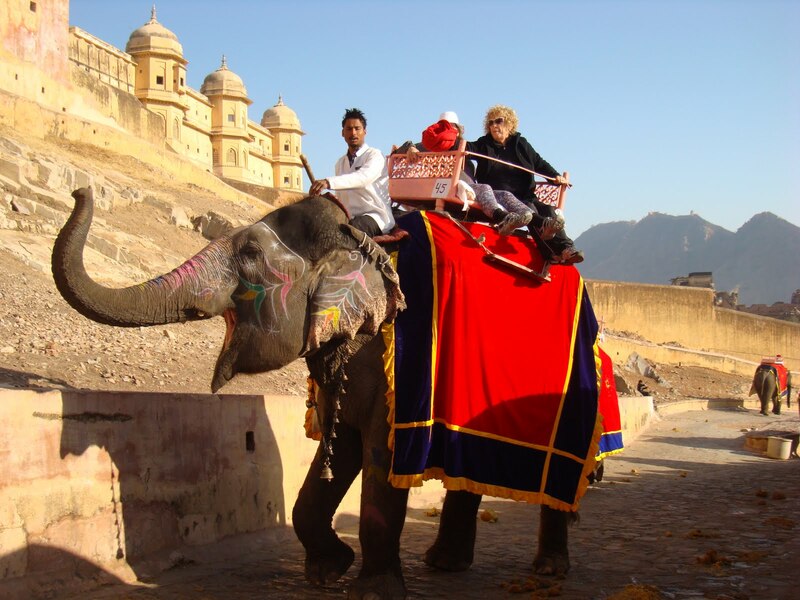 India is a magnificent land of different contrasts where you as wayfarer has great deja vu experiences. I love India in order to culture food … and you must be a cautious traveler when we’re drinking water, all bottled opened with your hands , diahrrea could be a fiend companion. I’ve always dreamed of visiting Rome, but I’ve always harbored a great fascination for the Far East, particularly India and China. October is a great time to visit. This is around when we celebrate Diwali or the Festival of Lights, signifying the victory of good over evil. Reach out if you would like to know more. Not quite. October is a hot month. It’s starts cooling down from the end of November. It is pretty though. Merci beaucoup pour vos conseils. Amitiés. I guess India is almost the same as my home in Nigeria. The left hand thing is a HUGE deal. And then noise and the traffic and the close proximity. I’d love to go there. Yes, As long as there’s life! Thanks for the tips! Ula! Beautiful post! I hope I get to India eventually. Your tips are great- very practical. India is my next destination now I’m a little bit worry , coz im a solo traveler . Like that sunset photo . Hopefully everything will go well! Great to advise us to have a nice tourism ! Some of the good tips..
India is diverse and whoever visits India will find different aspects of the nation. Thank you for writing such a great post. Cool post. I’m keen to see India but am hesitant due to the maintenance side f being a tourist there. Thanks for the tips. I wanted to see India but my husband is worried about how tourists, especially women, can be quite risky. Especially the tip on people crossing your ‘privacy circle’ I’ll keep in mind. When we visited Marrakesh, we were staying in a riad in the old Medina, and the first days I really had to get used to people walking very close behind you in the narrow streets. But after a few days we got used to it and felt very safe in fact. Check out my blog and please give some feedback. Hi Ula, great pointers there!! Which all places have you covered in India? I like this piece. It’s well written and balanced. Perhaps you could point out the cities that are an absolute nightmare, especially for girls. I pride myself on being Indian, but having travelled, lived and worked overseas since the age of 17, I’m able to accept why India can be somewhat of a challenge for tourists. The tips you give are perfect to prep people who want to come and experience this fantastic and culturally rich country with so much ancient history. To anyone reading my blog who wants to visit India.. Thanks Ula, for the great write-up!! Thats Great .!! You have done a great job, mentioning things in the right way. This will be very helpful for those who are visiting the country . Thank You !